In 2013 at the Association of Police and Crime Commissioners Rural Crime Conference, the Head of Unit gave a presentation about wildlife crime. 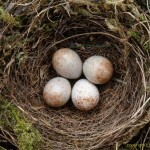 He outlined how the UK National Wildlife Crime Unit (NWCU) had been working to build a clear picture of the threats posed by wildlife crime across England and Wales. He highlighted how the unit has been working hard to encourage Police forces to submit intelligence and how the NWCU then added value by supporting investigations. 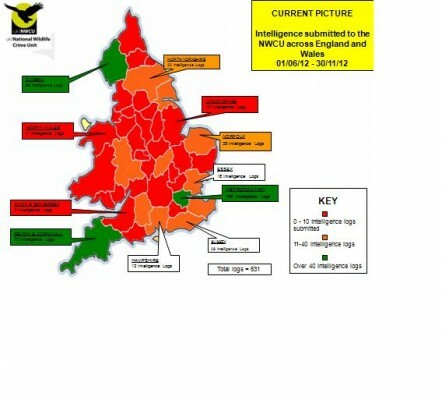 Forces had been assessed on the basis of intelligence disseminated to the NWCU over 6 month periods with a traffic light red-amber-green system developed to highlight low, medium and high levels of intelligence submissions. He asked PCC’s for support in encouraging Forces developing rural crime strategies to consider wildlife crime issues as part of them and how their forces interact with the NWCU. The NWCU has refocused on the gathering of intelligence over the past two years and it is intelligence that drives enforcement and preventive work. It has direct access to the Police Scotland Scottish Intelligence Database and can easily consider issues across the whole of Scotland. 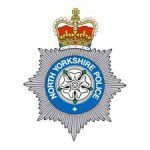 However, in the case of England and Wales, Police Forces each have their own intelligence system and therefore the NWCU relies upon each force to share intelligence with us. Across England and Wales the level of intelligence disseminated to the NWCU has doubled in the past two years, thus enabling the unit to make better assessments and consider more effective support for forces. This is illustrated in the below table and the accompanying traffic light maps with the latest map covering the first half of 2014. 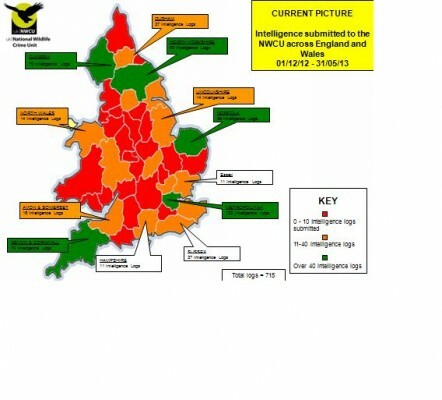 Referring to the maps it can be clearly seen that they have moved from predominantly red/amber to mostly amber/green. However, it is clear that there are still a number of Police forces that could improve the volumes of disseminations. 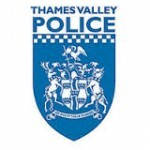 This is frustrating as liaison with Police Wildlife Crime Officers (PWCO’s) in a number of Police forces has revealed that they submit significant amounts of intelligence. This often appears to not have been acted upon or shared with the NWCU. As a result some PWCO’s have become disenchanted, feeling that they are wasting their time and effort. The NWCU is the only police unit that works to identify organised crime groups involved with wildlife crime. Work has shown that these are often involved in other areas of criminality and if ignored, society runs the risk of losing vital opportunities to disrupt these criminals. 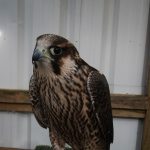 Wildlife offences often bring with them opportunities for people to be arrested, vehicles and dogs seized and proceeds of crime act opportunities. However, if the NWCU receives little or no intelligence those opportunities are lost. The NWCU will continue to work with Police forces to try and improve the intelligence picture concerning wildlife crime across England and Wales and then ensure that its efforts are focused upon the most serious threats. The increasing volume of intelligence received by the unit has seen it employ more staff to meet the growing demand and this is likely to continue. 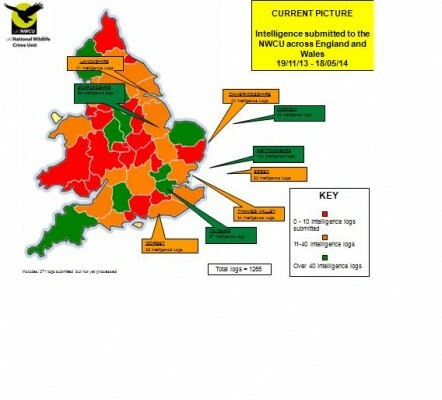 A full assessment of the impact of the overall increase in intelligence in terms of enforcement outcomes has not been possible, but work in one area – Project TRESPASS – to tackle the scourge of poaching has seen an increase in poaching related intelligence from 44% of the total intelligence received by the NWCU to 55% over the past 6 months. This has resulted in numbers of prosecutions increasing by 30%, with almost 4 times this number still to be tried at court. This intelligence led approach clearly impacts positively on the prosecution of wildlife criminals.